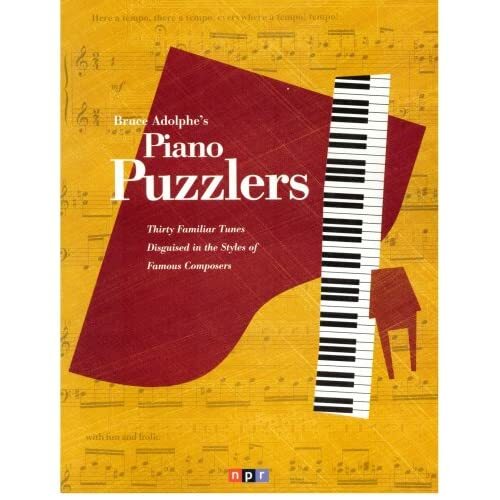 mommy bytes: APM's Piano Puzzler Turns 10! APM's Piano Puzzler Turns 10! Wow, how cool is that? Last time I geeked out over the Piano Puzzler was back in 2006. Lately, I've been catching up on everything on the feed and was really awed by the April 25, 2012 show (clicking the link will open a streaming window). The contestant was a pianist in the US Marine Band. Not only did he correctly guess the tune (Mozart Symphony No. 40) and the composer (Chopin) whose style it was performed in, he also took to the piano and played the Mozart Symphony in a jazz style. A piano conversation between Bruce Adolphe and the contestant! It made the music geek in me completely flip over the awesomeness of it all. If you're in Minnesota, check out the Piano Puzzler 10th Anniversary party being held at the UBS Forum in St. Paul on June 20th. Happy piano puzzling!